Can this expression be factored more completely by factoring the quadratic portion of the expression? Can this expression be expanded? 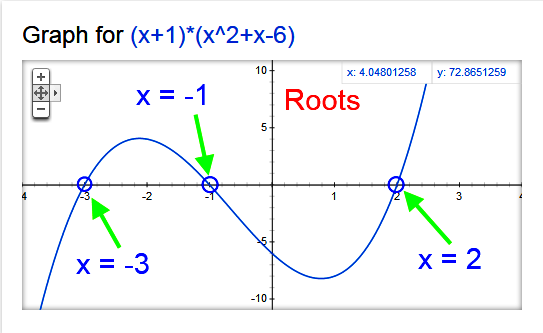 If f(x) = (x + 1)(x² + x – 6), what are the roots?